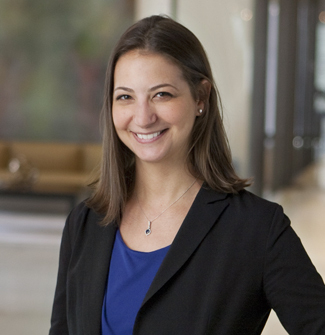 Lisa Lupion, a partner in Orrick’s New York office, has experience litigating a broad range of employment issues, including discrimination, harassment, wrongful discharge and compensation claims before state and federal courts and administrative agencies. Advising clients facing claims of independent contractor misclassification before the Department of Labor, both in the context of individual claims and Department of Labor audits. Defending off-the-clock claims in national FLSA collective actions in federal court and in arbitration. Successfully defending global investment banking firm against claims for allegedly unpaid bonus based upon purported oral promise for formulaic bonus compensation. Representing global financial institution in a nine-day hearing before a FINRA Panel that rejected claims for unpaid compensation. Lisa regularly advises clients on a variety of employment-related issues, including human resources policies and procedures, offer letters, severance agreements and employee termination. As part of her counseling role, she creates and conducts training programs for her clients. Lisa also has significant experience conducting internal investigations. Prior to joining Orrick, Lisa served as a law clerk to the Hon. Peter Leisure in the United States District Court for the Southern District of New York. Effective November 26, 2017, retail employees in New York City will be entitled to advance notice of their scheduled shifts, and the practice of “on-call shifts”–where an employee is required to be available to work but not necessarily called to work–will be prohibited. These provisions are part of new “Fair Workweek” legislation aimed at providing “predictable schedules and predictable paychecks” for retail and fast food workers in New York City.